In July 2016, more than 9000 truckloads of goods and 300 tons of construction material were transferred from Israel into the Gaza Strip — a territory that happens to be ruled by a hate group committed to the violent destruction of the Jewish state. That’s one truck every 5 minutes, all day and all night, without pause. Twelve thousand Palestinians crossed from the territory into Israel that month. And several thousand more passed between Gaza and Egypt. The following month, on August 16, a television station called Viceland (part of Vice media) broadcast a documentaryÂ about “The Tunnels of Gaza,” which argued that virtually no goods enter the Gaza Strip and insinuated that there’s scant rationale for any border restrictions. The segment is modern and gripping, which is to be expected coming from a station helmed by award-winning director Spike Jonze. But in their quest to fit Gaza’s complexity into a neat narrative — food is scarce, Palestinians suffer, and it’s all Israel and Egypt’s fault — the team behind the program was forced to elide, exaggerate, and embroider. But actually, no, the restrictions don’t go that far, and Viceland’s viewers deserve to know it. This would have been an ideal time for the show’s creators to inform their viewers that, today, Israel allows all civilian products to cross its border into Gaza with the exception for certain “dual-use” items that could benefit Palestinian terror groups. Chocolate is not one of those dual-use items. But the program omitted that information, just as it neglected to mention the thousands of trucks of goods that cross into Gaza and thousands of people who cross out every month. Rather importantly, it also failed to note Hamas’s responsibility for thousands of rockets fired into Israel from the Gaza Strip, a core fact behind Israel’s security measures on its border. 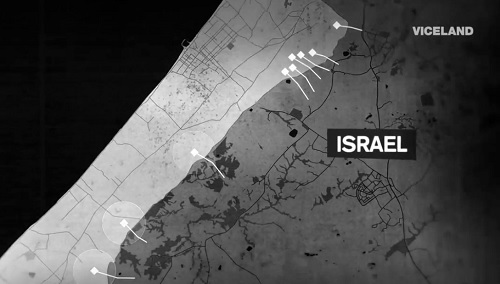 The series of conflicts began in 2006, when the militant group Hamas won an election and took control of Gaza. In response, Israel has tried to cut off Hamas from the world, only allowing a limited amount of humanitarian aid in. So Gazans began digging over 2,500 tunnels to Israel, and to Egypt, that delivered everything from water, to livestock, to cigarettes, to medicine. But Hamas also uses some tunnels to move weapons and fighters into Israel. So Israel began a campaign to destroy them. 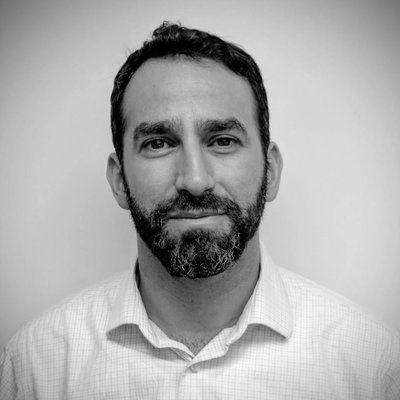 Medicine, though it does pass from Israel into Gaza through the official crossing points, is certainaly not delivered through Hamas’s tunnels into Israel. Nor are cigarettes, livestock, or water. That’s because, contrary to the Viceland assertion, these “terror tunnels” into Israel are built and used for one thing only: To attack Israelis. “The Tunnels of Gaza,” an episode of Viceland’s Black Market: Dispatches, falsely claims Hamas’s attack tunnels into Israel are used for smuggling needed goods. The rest of Amer’s statement likewise falters. It is true that much of the international community withheld direct funding to Hamas, designated as a terror organization, after the group won parliamentary elections in 2006 and still refused to relinquish violence, recognize Israel, or accept existing international agreements. But the idea that today’s situation is about Hamas winning an election and Israel responding by shutting down the entry of goods is simply wrong. It is wrong because it ignores actual and attempted violent attacks by Palestinians on the very crossing points through which goods pass in and out of the Gaza Strip, which have contributed to cutting off the territory. It is wrong because it ignores the fact that most restrictions were imposed not immediately after Hamas’s 2006 electoral victory, as Viceland’s language implies, but in 2007 after Hamas went on to violently expel the Palestinian Authority from the Gaza Strip, replacing the latter’s officials at crossing points and increasing the number and severity of rocket attacks from Gaza into Israel. (The program likewise ignores Egypt’s very real security concerns when discussing that country’s border controls.) And it is especially wrong because it ignores the fact that, despite all that, today goods pour into the Hamas-ruled territory at a rate well above that of recent years. According to a report published by Gaza’s chamber of commerce just three months before the Viceland program aired, the number of truckloads of goods entering Gaza has doubled compared to a year earlier. And that reflects the long-term trend as well. 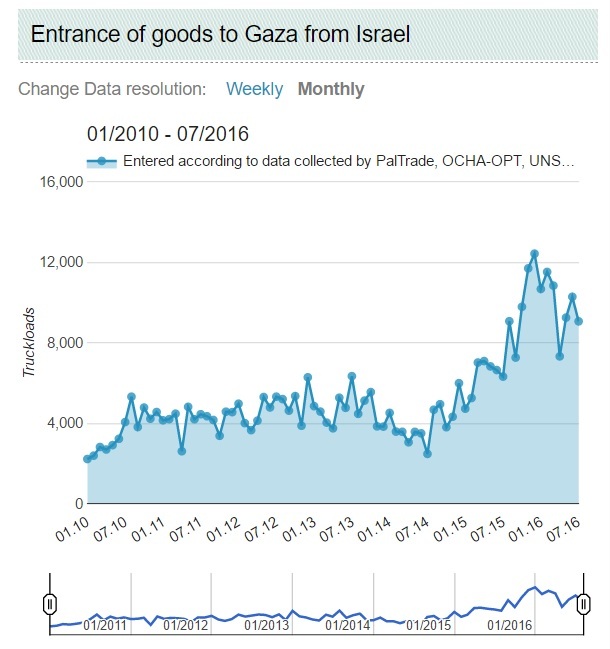 A chart from Gisha, an anti-Israel NGO, shows a sharp increase in truckloads of goods into Gaza, from about 2000 per month in January 2010 to 10,000 per month today. That’s not to say that all residents of the Gaza Strip have everything they need, in the quantities they need. It does mean, however, that Viceland’s simplistic narrative fails viewers who seek an accurate, full, and nuanced understanding of the reasons behind and the purpose of the territory’s tunnels. Hamas and some pro-Palestinian activists seek to reduce the situation in Gaza, with its extremist rulers, acts of violence, and political divisions, into a simplistic morality play about Israeli and Egyptian oppression. That, perhaps, is to be expected. But as Munir al-Bursh, director general for pharmacies at the Ministry of Health, told Al-Monitor, “The problem [is] more complicated than it sounds.” Viceland should have taken note.